Work for MAG250 MAG254/255 MAG256/257 MAG270 MAG275 MAG350 MAG352. Power: 2 X AAA Battery(Not include). Latest thin model. We will try our best to solve the issue. Remote model number is GHB7166. No Programming Required, Works Right Away! Power: 2 X AAA Battery(Not include). Work for MAG250 MAG254/255 MAG256/257 MAG270 MAG275 MAG350 MAG352. Latest thin model. Compatible ModelFor MAG250, MAG254/255, MAG256/257, MAG270, MAG275. Work for MAG250 MAG254/255 MAG256/257 MAG270 MAG275 MAG350 MAG352. Latest thin model. TypeTV Remote. Power: 2 X AAA Battery( Not include). 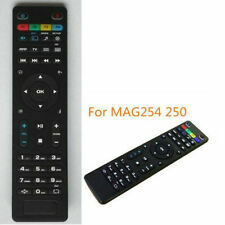 FOR MAG Linux IPTV Set Top Box. 250 254 255 260 261 270 IPTV TV Box. No need setup, just insert new alkaline batteries to work well! What more can I say ?. We might require you to send us photo/s of the item received and also your original item so we can compare and conduct necessary actions. OEM Charging Port Flex Cable For HTC Incredible 2 ADR6350, Incredible S PG32130. Mag 250 254 255 260 261 270 IPTV TV Box. Compatible with below MAG TV Box. Work for MAG250 MAG254/255 MAG256/257 MAG270 MAG275 MAG350 MAG352. Latest thin model. Power: 2 X AAA Battery(Not include). And we support 1-Year manufacture warranty. Power: 2 X AAA Battery (Not include). Latest thin model. Work forMAG250 MAG254. And we support 1-Year manufacture warranty. Work for MAG250 MAG254/255 MAG256/257 MAG270 MAG275 MAG350 MAG352. Work for MAG250 MAG254/255 MAG256/257 MAG270 MAG275 MAG350 MAG352. I personally test each remote twice; before it's listed and before I send it out after purchasing. MPNDoes Not Apply. 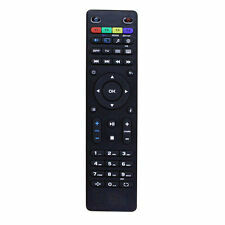 We are an authorized dealer and our remote is original loolbox remote. WHY PEOPLE BUY FROM US. Work for MAG 254 / MAG 250 255 265 275. Compatible Models: Linux Set-Top Box MAG 250/254/255/256/257/275/349/350/351/352. Easy to use, no need to program, work directly after put in the battery. Power: 2 X AAA Battery(Not include). Work for MAG250 MAG254/255 MAG256/257 MAG270 MAG275 MAG350 MAG352. Detail Image. USA, Canada, United Kingdom, Austrilia, France, Germany, Spain, Ireland, Italy, Others. Canada, United Kingdom, Austrilia, France, Germany, Spain, Ireland, Italy, Others. Work for MAG250 MAG254/255 MAG256/257 MAG270 MAG275 MAG350 MAG352. We will do our best to reduce the risk of duties. Low power consumption is practical. Easy to operate, no programming or setting up is required. Due to the difference between different monitors, the picture may not reflect the actual color of the item. For Mag250, 254, 256, 260, 261, 270. We might require you to send us photo/s of the item received and also your original item so we can compare and conduct necessary actions. OEM Charging Port Flex Cable For HTC Incredible 2 ADR6350, Incredible S PG32130. MAG250 mag350 mag254 255 256 257 270 275 352. Warranty Service. If item is defective after 3 months, you can still send it back to us. We will send you a new one after receiving the defective item. Mon. to Sat. Compatible Model: MAG250 MAG254/255 MAG256/257 MAG260 MAG261 MAG270 MAG275 MAG350 MAG352. Low power consumption is practical. Also note that monitor settings may vary from computer to computer and may distort actual colors. Color: Black. No programming is required,just fit the batteries in. No programming is required,just fit the batteries in. Color: Black. Power: 2 X AAA Battery( Not include). Work for MAG250 MAG254/255 MAG256/257 MAG270 MAG275 MAG350 MAG352. Compatible Model: MAG250 MAG254/255 MAG256/257 MAG260 MAG261 MAG270 MAG275 MAG350 MAG352. Low power consumption is practical. Easy to operate, no programming or setting up is required. Work for MAG250 MAG254/255 MAG256/257 MAG270 MAG275 MAG350 MAG352. Power: 2 X AAA Battery( Not include). We will try our best to solve the issue. I have a few extra used and new RJ45 (Ethernet) cables. i'll throw it in for a couple bucks, or free depending. Work for MAG250 MAG254/255 MAG256/257 MAG270 MAG275 MAG350 MAG352. I personally test each remote twice; before it's listed and before I send it out after purchasing. Power: 2 X AAA Battery(Not include). Compatible with CS918,MXV,Q7 TV Set-Top Boxes. Support android system, it is high-effective. Turn your TV to PC. Material: PC. Manufacturer ID: Infocaster. Battery Cover Included! Originally supplied with the following models, may be compatible with many more. Batteries are not included (should use 2 AAA). If for any reason you are not satisfied with our product or service. MAG270 MAG275 MAG350 MAG352. Work for models: MAG250 MAG254/255 MAG256/257. Plug and play, simple and smooth. It will bring you much convenience. 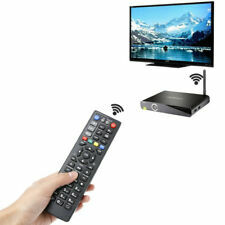 Suitable for for Smart TV, Android TV Box, Google TV, PC, HTPC and more. Wireless: 2.4G Wireless. With voice input function, very convenient to use. Manhattan RC-1978 HD FTA/IPTV Receiver. We are an Authorized Manhattan USA Dealer! All you need is plug in the USB receiver to the device, download the Google Voice and you are good to use.Very easy to use! USB Receiver Dongle. Operation Frequency: 2.4GHz - 2.4835GHz. Battery Type: 2x AAA Batteries (Not Include). The actual item for sale is pictured. Previously used and in good condition. Fully tested and working. Batteries not included. An IPTV remote control can help you enjoy your IPTV set box and all its features with programmable functions and convenient, one-hand operation. 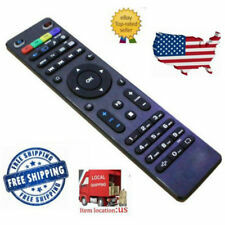 eBay offers great deals on items including Arabic IPTV remote controls and those in other formats. Exploring some of the IPTV remote control functions and apps can help you choose the model that is right for you. What are some main uses of an IPTV remote? Internet protocol television is a great way to enjoy the television programs you like via video-on-demand services and your standard online connection. IPTV remote control codes and apps allow you to interface with your set box from a distance and further customize the features that you like about IPTV. You can pair the remote with your system to get control of the channels, apps, modes, and setup options that you prefer when viewing IPTV. 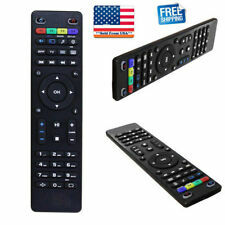 These remote controls provide you with specific buttons and functions that work with an IPTV setup. 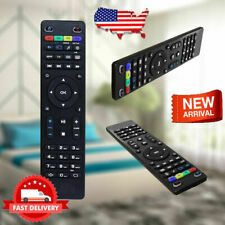 What features do these remotes have? App control - You can use these buttons to switch between specific VOD apps that you might have with your IPTV service. 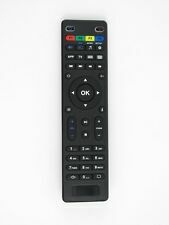 Programmable buttons - Some keys on IPTV remotes can learn unique functions that are specific to your setup. You can use these buttons to add a wider range of functionality to your controls. Standard options - Most controls will also feature standard volume, channel switching, menu, and playback options that allow you to control your IPTV experience. Do you need to pair a remote with your set first? 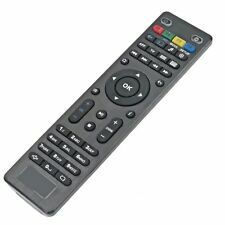 Most of the remotes you will find on eBay are ready for immediate use once you install batteries. They are designed with maximum convenience in mind and are intended to work with IPTV boxes or receivers without any programming steps or waiting. You can simply point your new remote at the set and start using it. 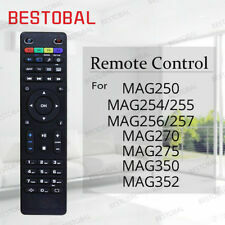 Many IPTV remotes are compatible with multiple televisions. 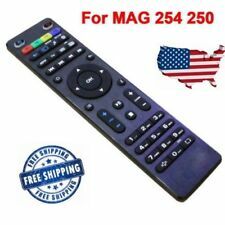 You can use eBay to search for remotes that match your television or IPTV setup or choose a universal IPTV remote control.